Today I chaired the Scrutiny Committee of Dundee City Council. There were a number of very interesting reports on the agenda. The first substantive item was on the Review of Scrutiny arrangements. This report had previously been to the Policy & Resources Committee. 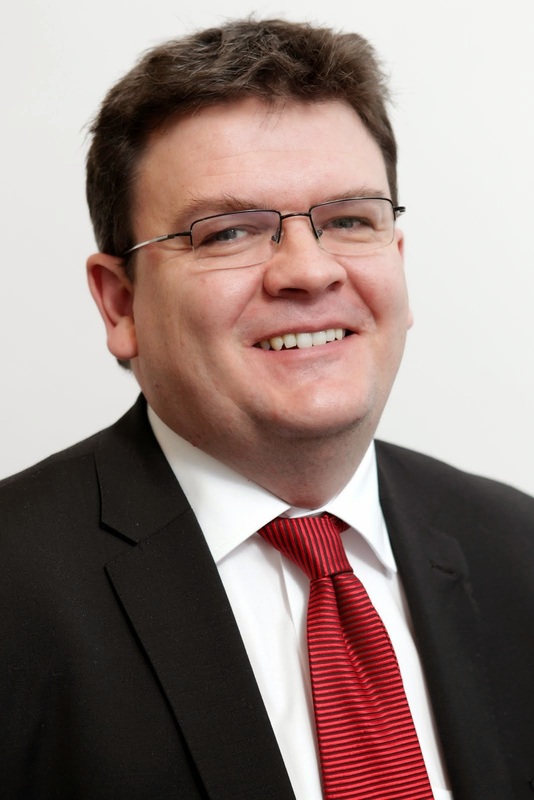 I echoed the disappointment of my colleague Councillor Kevin Keenan that the report had gone to the Policy & Resources Committee with no reference either to the Convener or the Committee, this would not have happened in any other committee of the council. 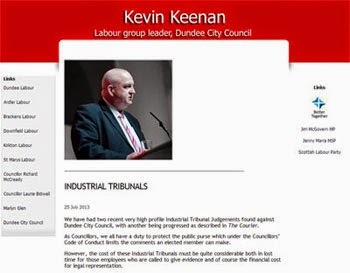 Either Scrutiny is taken seriously, and Councillor Keenan is given the support afforded to any other convener of a council committee, or it is not. I believe that officers accept that this was wrong and the message has been heard and future events will tell if this is the case. I also drew the committees attention to the report which highlighted that the committee could make formal representations to service committees (like Education or Housing). I think that to some extent the committee has achieved its goal by officers saying that they will take items on board or that they will provide further information to the committee, perhaps we need to be more formal. I also raised the issue possibly broadening the remit of the committee. We react to external evaluations but we do not always react to the views of those who should be most important to us, namely the people of Dundee. I think that we should consider adding to our remit the possibility of dealing with petitions. This is something that I will be engaging with officers on in the future. There were a number of inspection reports placed in front on us for services which were very good, excellent or good for East Port House, the White Top Centre, and Turriff House. I asked the Chief Executive to write to each service concerns highlighting the committee's appreciation of the reports and the hard work of staff who have helped the council achieve these results. I especially drew attention to the report on the White Top Centre which has shown consistently high performance in Care Inspectorate inspections. Of course, I did have to add the caveat that there is no room for complacency! The fourth item was a report on complaints received by the council. 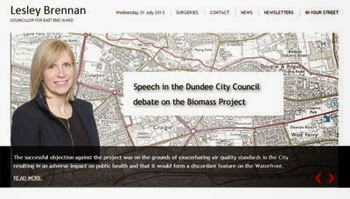 It is good that Dundee City Council takes complaints seriously and reports them to the Scrutiny Committee. I am concerned about the increases in the numbers of serious complaints upheld in the last quarter and while I accept that there are small numbers involved it is still an issue worth investigating. By it very nature the complaints procedure deals with people who are unhappy with the council but we should be concerned with the figure that says 30% of respondents were very dissatisfied with that their complaint had been taken seriously. I was pleased to hear from officers that this was an item that they take seriously and that there was a commitment to try and lower that number. 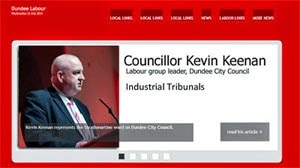 The Council should have nothing to fear from a robust complaints procedure which listens to the citizens of Dundee and allows the council to deliver better services. Item 7 on the agenda included a number of very interesting reports. The most troubling one was about delays in the time taken to hold an initial Child Protection Conference. Only just over half (53.5%) take place within the targeted 15 working days. We were reassured that this was not an issue about resources but that it was about ensuring that all the relevant people were able to attend. We also sought a reassurance from the Director that no child was put at risk as a result of these delays. We were told that the full powers of the council in child protection would be used if it was felt to be appropriate. Whilst I was satisfied with the reassurances which were received I would still like the council to try and comply with the target number of days on a much bigger proportion of cases. I also was concerned about the rates of new business start-up in the city. I agree that this is an important indicator of economic performance and that more businesses should lead to more jobs. This is an item which I am looking for more information on as I think providing jobs is crucial to the future of Dundee. There was also some very interesting comment on this in the Courier today and I think that this indicates that politicians no matter what your constitutional views need to look to work together and bring jobs to Dundee. Tonight I attended the December meeting of the West End Community Council. The meeting was the AGM of the Community Council and I was pleased to chair the part of the meeting where the committee was elected. Congratulations to those re-elected. The main item for discussion was a presentation from the Principal of the University of Dundee Professor Pete Downes on the relationship between the university and the local community. It is important that the university is a good neighbour to the West End and it was good to hear Professor Downes recognise this. It was good to hear about the progress which the university is making and how it is world-leading in areas like life sciences, and about the excellent work being done at Duncan of Jordanstone College of Art and Design, as well as the good work in departments like history. A few local residents raised issues about the impact of the university on housing and car parking across the West End. 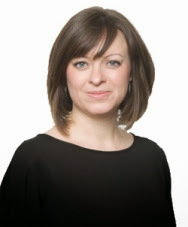 Professor Downes was clear that the university is not responsible for the behaviour of students who are adults and how they behave outside the university. He did, however, say that the university is keen to ensure that students behave well in West End. I think that the university should look for ways in which it can engage with residents in the West End in a regular way. One way would be through representation on the Local Community Planning Partnership. I was really pleased to see the Principal and Vice-Chancellor of the University (in effect the Chief Executive) come and speak at the Community Council. I think that this is a very welcome step by the university. The SNP Administration of Dundee City Council is proposing a number of changes to schools in the city. The one with the biggest impact on the West End is the proposal to close Menzieshill High School with most pupils moving to Harris Academy. The Administration brought forward these proposals to last night's Education Committee. The Labour Group has, on two occasions, attempted to get the council to give far more detail than they have done so far on these proposals on both occasions SNP, Lib Dem, and Tory councillors have voted down our proposals. With regard to the proposals that impact on Harris Academy my biggest concern is that these plans should have been included when the plans for the new Harris Academy were on the drawing board. I find it hard to believe that the council has only just come up with this solution. 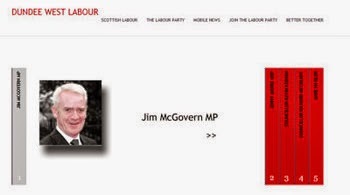 Indeed if it was not looking at what they claim will be good for Menzieshill pupils then they are guilty of having taken their eye off the ball. It is does rather suggest that the main driver of this policy is financial rather than educational. We have a situation now where a new school is being built and more pupils are being added to school. I know that people in the West End have benefited over the past couple of years from not having the large number of traffic movements and parking issues which were associated Harris Academy on the Perth Road. We now have a situation proposed where there will be more staff and more pupils, some travelling some distance and possibility requiring more buses. None of this has been included in the planning stage of the new Harris Academy. I look forward to Harris Academy returning to the Perth Road, it is just a shame that it may well return with even more traffic and congestion issues than there were before the new building. I will certainly be keeping a close eye on this. The result of last night's vote at the Education Committee means that there will be a consultation on these proposals from 12th January until 27 February next year I would urge anyone with an interest in education in Dundee to look out for this consultation and take part in the consultation. I am always interested in the views of parents, pupils and staff in our schools and would be happy to hear from you.